At the end of a very festive and blissfully summery weekend the folks at Bizarre were ready to celebrate the end of Bushwick Open Studios with as many bangs as possible. 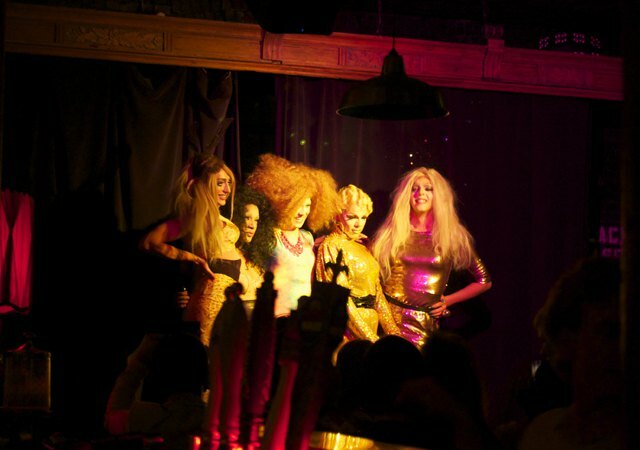 Madame Vivien V hosted a hilarious and vivacious set of lip-synching performances to the hoots and hollers of an art satiated crowd with her surprise guests: ‪Aja Nicole Marie, MoMo Shade, Biblegirl666, and ‪Daphne Sumtimez. 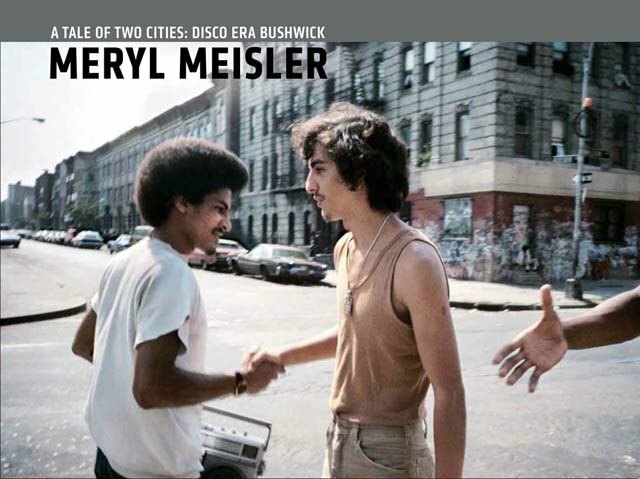 But below the bar and the stage Meryl Meisler, longtime Bushwick admirer, teacher and artist, was holding a poignant show of her work from the late-seventies to the mid-eighties, titled A Tale of Two Cities: Disco Era Bushwick. The subjects of her photographs were from two very different worlds within the metamorphosing landscape of NYC: the disco scene at the legendary Studio 54, and the aftermath of the devastating 1977 blackout in a little-talked-about neighborhood of Bushwick. Meisler felt that the eponymous lines of Dickens, “It was the best of times, it was the worst of times” best described her work, and she was spot on. When considering the economic, cultural and spiritual cliff Bushwick fell off of after the blackout led to riots that almost wiped Broadway off the face of the earth, it is amazing that the photographs Meisler took on her daily walks through the depressed neighborhood aren’t more upsetting. Stories of a high murder and arson rate are practically forgotten when looking at young girls striking poses on the street, boys shaking hands, a young woman yawning in a classroom. Only a few empty patches of burnt out ground and some dilapidated houses make this era of Bushwick stand out from today’s Bushwick. In fact, most of the buildings look the same, but the people are different. 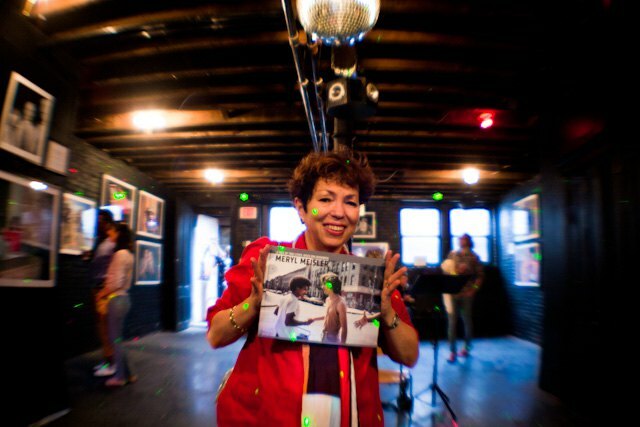 It is the pictures of the disco scene in midtown displayed next to those of Bushwick that makes this exhibition uniquely fascinating. They show a few drag queens, some well-groomed men doing blow from a coke spoon, a gold cigarette case loaded with poorly rolled doobies and more cocaine, a bartender with her breasts out and patrons smoking cigarettes at the bar. Oh! How easy it is to romanticize that NYC. Seeing these photographs side by side in a basement below a drag show after visiting countless galleries and studios in a thriving new era of Bushwick was seeing these two worlds collide. It was a disco night, so a duet performance of the "Age of Aquarius" with the two hosts seemed a forgone conclusion, but it wasn’t until Meryl Meisler got on stage to lip sync "Last Dance" with one of the queens did the whole event go full circle.